Just like any other job, a receptionist job is not easy at all. It needs a lot of qualities and skills. The study says that girls are more preferred than boys in this line of jobs. A receptionist is a front face of every firm or company. So, having a skilled and welcoming receptionist is crucial for the good relation with your client. 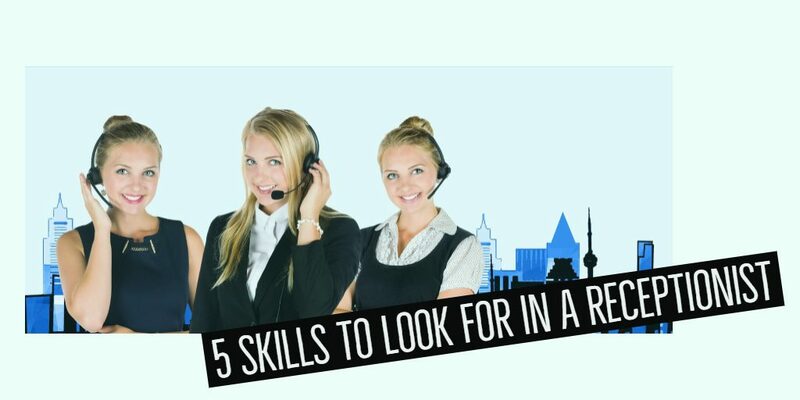 Here we are sharing some skills which a good receptionist must have. A receptionist is the first one who will interact with your client, either on call or verbally. She should be a good listener too, because if she won’t listen to their queries then How she will be able to solve them? This skill can be developed over the time also, but a person should have some sort of specialty too. These days the computer is vital for everyone in each occupation. It is important that your receptionist is having at least basic knowledge of computer. She should be eligible to respond to clients emails, and keep records of your customers and documents. Receptionist’s job is not only to be nice but she should be able to manage her work. A receptionist has multiple responsibilities, like answering the call, welcoming the guest, solving their queries, keeping records of documents. So, she should be capable to accomplish all these responsibilities without getting frustrated. Nowadays people lose their endurance very speedily, but for a receptionist, these are the most required qualities to have. If your receptionist is friendly with customers, they will feel more comfortable. A receptionist will need to deal with many different types of people, for that, she needs to be able to keep calm and be polite with all. Professionalism is essential in every vocation. A receptionist’s first impression is the mirror of your firm, on which basis your client will judge your company. She should have a professional appearance and attitude.